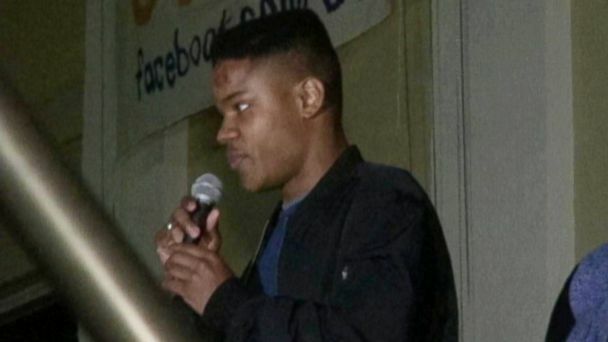 UVA student Martese Johnson entered no plea today to charges stemming from his bloody arrest last week. Johnson, appearing in court for the first time, was expected to enter a not guilty plea, but the prosecution asked for a continuance so the investigation could continue. Martese and lawyer Daniel Watkins agreed to this and his next appearance will be May 28. Attorneys hope that the Virginia State Police investigation will be done by then. Nearly 100 supports showed up to the Charlottesville District Court, all dressed in black in a show of unity. The court appearance lasted all of 90 seconds. Johnson, 20, was bloodied during an arrest near the campus last week, sparking protests on the campus over alleged police brutality as well as a state investigation of the incident. He was arrested outside a Charlottesville bar by state Alcoholic Beverage Control (ABC) agents who are charged with enforcing alcohol laws in Virginia. In Virginia, there is no legal requirement that customers entering a restaurant where alcohol is served must be over the age of 21. So Johnson had every right to attempt to enter Trinity so long as he was using his lawful identification. Trinity's decision to enact a 21 and over policy after 10 p.m., for busy evenings, did not make Johnson's attempt to enter illegal.